An impressive 3d rendering of a per cent sign turning around with a matrix effect in the dark blue background. It is made of sparkling spots, while shining short lines spin in seamless loops. 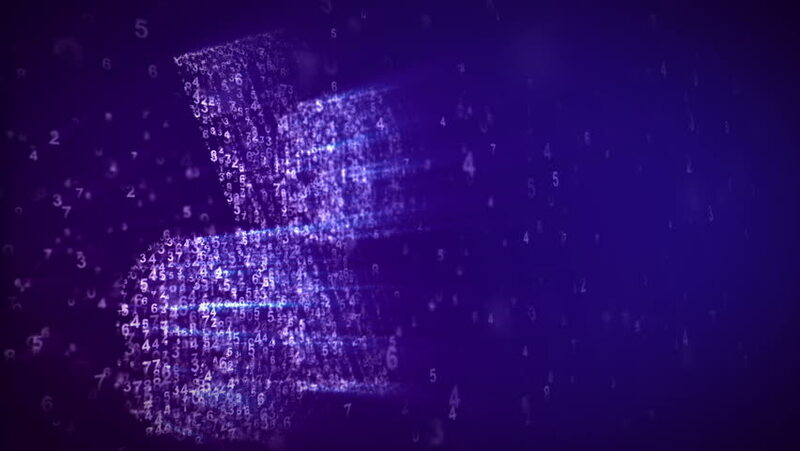 4k00:10An arty 3d rendering of the number sign looking like a grate spinning with a matrix effect in the violet background. It is composed of three parallel areas with tiny digits turning in seamless loops. hd00:20white particles slowly fly on a light blue background. abstract space. 3d rendering. 4k00:08The animation of the sign is closed. It consists of a stream of numbers and symbols in the digital space. 4k00:08Digital animation of the game icon. Game joystick in the virtual space of the future. 4k00:08Digital animation of the inscription new in virtual space. hd00:19Night time aerial establishing shot of a busy city street. Lit up with headlights and break lights of cars in traffic illuminating the modern urban streets.